For most students, the first couple weeks of summer vacation is a freedom-filled sunshine party. But inevitably after a few weeks of being out of the classroom, students are diagnosed with summertime-boredomitis. Luckily the Poudre River Public Library District’s summer reading program is a cure for this. Bust those boredom symptoms by logging ten hours of reading, completing activities pertaining to this year’s theme STREAM (Science, Technology, Reading, Engineering, Arts, Math), and entering the photo contest. And guess what? The program is geared towards the entire community so babies and adults suffering from summertime-boredomitis can be cured too! Just gimme the facts, man! Kids and teens that log 10 hours of reading (or early literacy activities for babies and toddlers) between June 1- August 10 will earn a book and a TCBY coupon while supplies last (so get reading folks!). Adults who complete the program will also earn a TCBY coupon. Read 100 hours or more this summer and receive an invitation to a special 100+ Hours celebration in August! Is there a better way to complete those 100 hours than by reading a captivating book under the shade of a tree accompanied by some delicious FroYo? This summer, the program continues beyond simply logging 10 hours of reading. Complete activities in each of the six STREAM categories found on the summer reading logs to be entered in a drawing to win more prizes! The more stickers you earn the more entries you will get into the drawing! Some sample activities include visiting the Fort Collins Museum of Discovery, writing a song, finishing a Sudoku puzzle or completing a science experiment. If you still can’t get enough of our summer reading program, then enter the photo contest: PhotoSTREAM. Capture images portraying the different categories in STREAM. Entries will be judged by the Fort Collins Digital Camera Club in each age group. Send submissions to librarycontest@poudrelibraries.org between June 1- July 25 for a chance to win! Still need another reason to participate? Research shows that young people experience learning losses when they do not engage in educational activities during the summer. 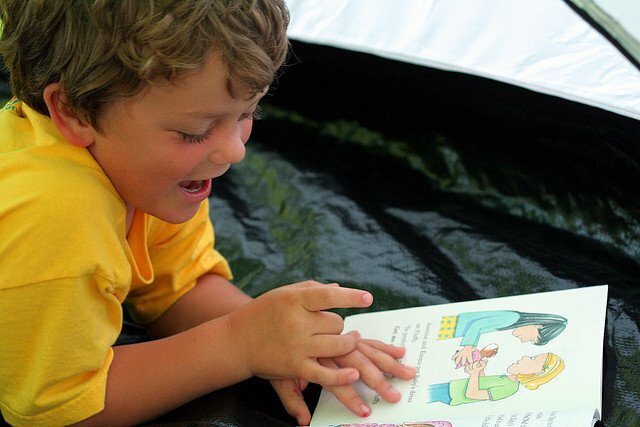 The summer reading program strives to provide exciting learning opportunities, explore creativity and increase reading throughout the summer to help maintain the reading and learning levels of students during their three month absence from school. For more information visit www.PoudreLibraries.org/SRP or call (970) 221-6740.